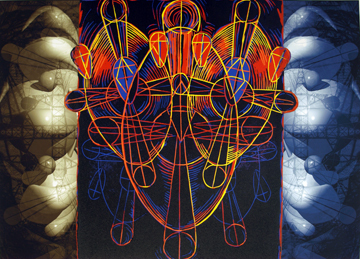 Installments of Global Matrix: an International Print Exhibition have been presented by the Purdue University Galleries in 2002, 2007 and 2012 as traveling exhibitions in the U.S. Global Matrix exhibits have featured a total of 225 works representing 180 individual artists from 31 countries around the world and the exhibits have traveled to a total of 15 venues. The Florence H. Lonsford Endowment, established through the generous gift of a Purdue graduate and artist, has funded the purchase of an on-going series of permanent and temporary art pieces for the Purdue University campus. In 2009 and 2014, the endowment purchased the entire body of works from the Global Matrix II and Global Matrix III exhibits for the permanent collection.